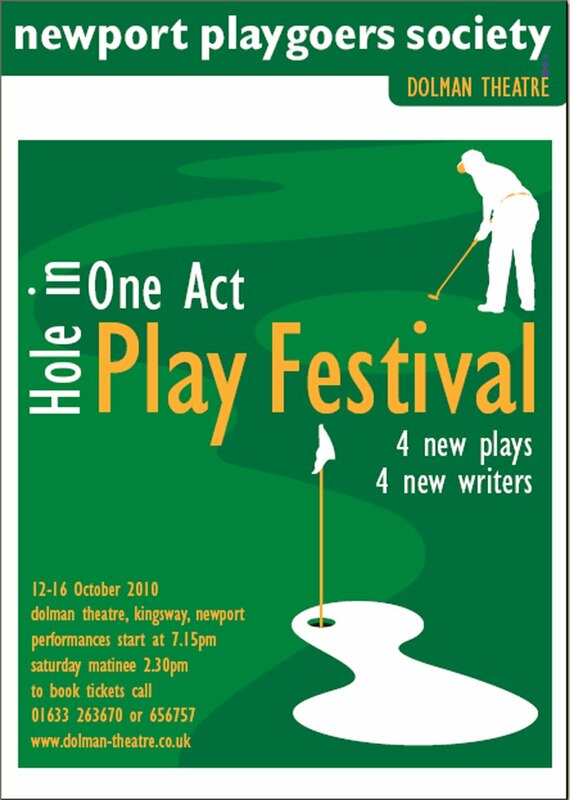 I had a nerve-wracking time last night at the opening of the Hole in One Act Play Festival which featured my play 'Bunkered'. I was so nervous I missed a sound cue on my own play - and we never got to hear the seagull poop on the Times crossword. Afterwards, Kevin Myers, who wrote 'Surviving the Century', one of the other plays, came up to me in the bar and said, "You know what it needed - a seagull sound effect." He was spot on - unlike the poop. If only I'd pressed the right button! We had a really good-sized and appreciative audience, which was very rewarding as we were unsure whether people would be interested in unknown, untested plays. Let's hope we get good crowds in for the rest of the week. A big thankyou to everyone involved - the wonderful writers, talented cast, dedicated directors and technical crew (especially sound!). Special thanks must go to James Reynolds who co-ordinated the event - a thankless task but one he's done with energy and commitment. Here's to the next four nights!